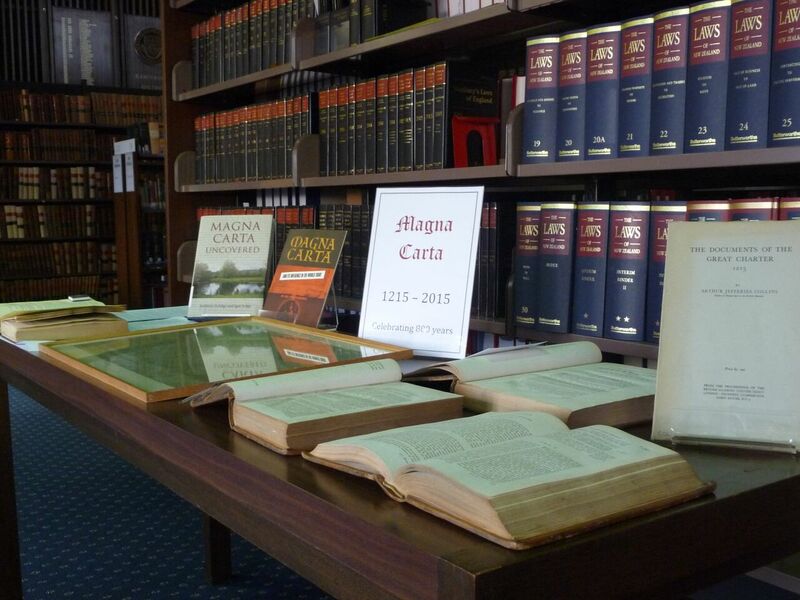 As part of commemorative activities for the 800th anniversary of the Magna Carta, the New Zealand Law Society Library in Christchurch had a small display of texts relating to the Magna Carta, from the Library’s collection. 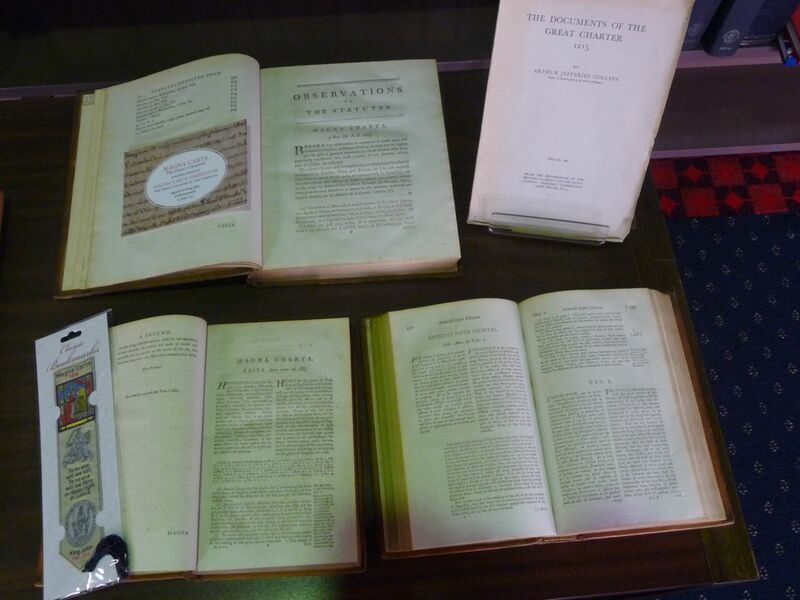 Coke’s Institutes (1796) is the earliest text on display; Magna Carta uncovered by Anthony Arlidge & Igor Judge (2014), the most recent. 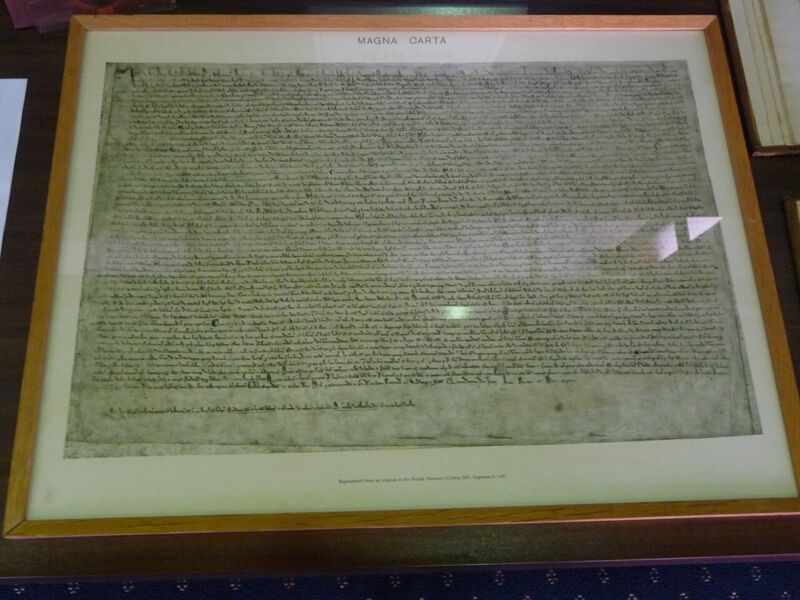 The framed copy of the Magna Carta is a reproduction of one of the ‘original’ copies held by the British Museum.